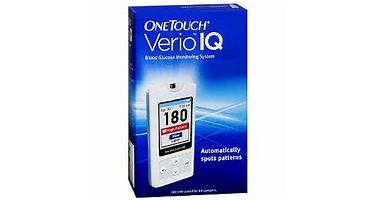 The OneTouch Verio IQ Meter offers a simple way to check your blood sugar. Big, bold numbers on a color LCD screen make your results easy to read. And when lights are out, it lights up the top and screen for simple testing in the dark. Plus, it uses the smallest blood sample ever, does not require any coding.